This statistic shows the amount of student aid offered by different federal, state and private sources to graduate students in the United States for the 2017/18 school year. Over this year 37.8 billion U.S. dollars was offered to students in the form of Federal loans. 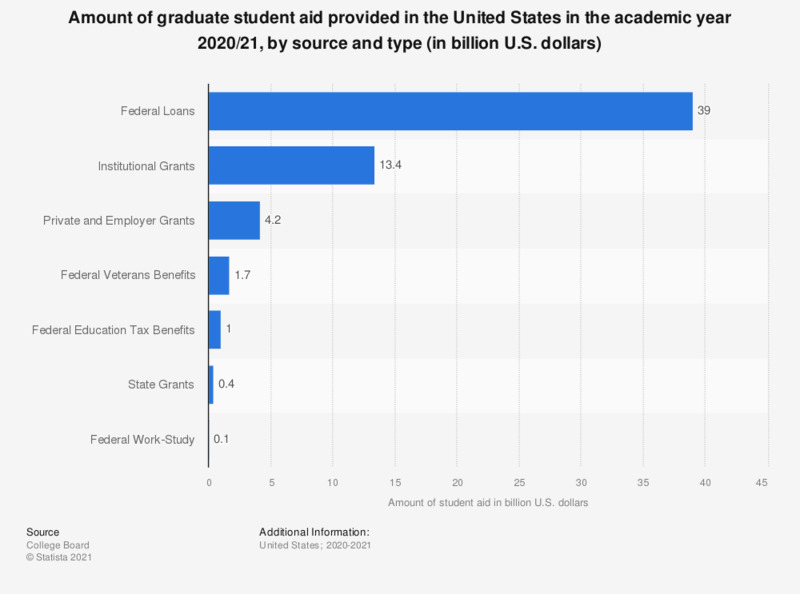 Altogether, 57.2 billion U.S. dollars worth of student aid was provided across the country to graduate students.